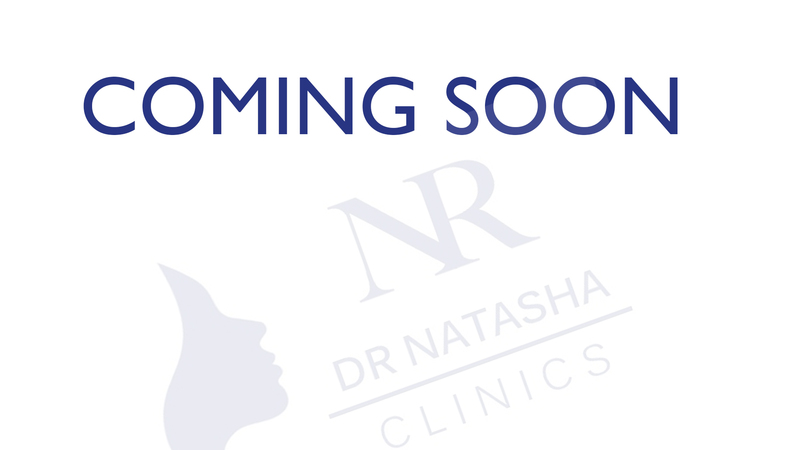 Everything you need to know about your appointment at Dr Natasha’s Clinic. Your appointment is important to us, we only take bookings via email. When making an appointment at the clinic, we require your name, telephone number and email address. We will contact you to confirm your appointment has been made via email and SMS, within 24 hours. To secure an appointment a deposit is required via a valid debit or credit card. A deposit of £25 will be required to secure your appointment. The deposit will be deducted from the treatment total on the day (only). All treatments must be paid for in FULL on the day of treatment. We aim to keep to your appointment time when the client arrives at the clinic, but please allow some time before and after your treatment for preparation, consultation forms to be completed and Pre & post treatment photographs (if permitted by the client). Please arrive 10 minutes before your appointment time, so that the necessary forms can be completed. We reserve the right to amend or reschedule appointments. Dr Natasha will inform you of any preparation required in advance of your treatment. All clients are required to complete a consultation form, we are required to do this by our insurance companies. We also need to confirm that the treatment you have selected is suitable for you. When completing the consultation form, we ask the client to be as honest and truthful on their medical history as possible, so that we can give you the best service and treatment that you deserve. It is important you inform us of any health conditions, allergies or injuries which could affect your choice of treatment when making your appointment. (Please do not arrive for your appointment if you have any cold symptoms or flu). If you have to cancel your appointment, we will do our best to be flexible and re-book your appointment at the next available time that best suits you. We cannot control situations, and Dr Natasha Clinics in some cases may also need to cancel your appointment. A minimum of 48 hours notice is required if you are unable to keep your appointment. Cancellation of a booking within less than 48 hours prior to your treatment, will result in a loss of your deposit (£25). This is because other clients may be able to fill your appointment time. Dr Natasha Clinics understands that from time to time a situation may arise, and plans have to be changed. We ask that you contact us as soon as possible to cancel or amend your appointment. If you fail to keep your appointment and have not notified us, we will try to contact you, if you fail to respond you will lose the deposit paid. If 48 hours notice was given, any deposit paid can be carried over to another appointment time and treatment (where applicable). Please note: If you are late, or know you are going to be late for your appointment, please contact us as soon as possible to inform us of your lateness. Your appointment time may be given to another client. Non-attendance for your treatment or none arrival will result in loss of deposit. Some of our treatments and procedures require a patch test to be carried out prior to the treatment. This is clinic policy to ensure, health and safety guidelines are followed for all our clients. We will not carry out any treatment if you have not had a patch test with us. We may also require you to have a repeat patch test with us. If you have not had the treatment in the last 6 months, as people can develop allergies to products that they have not had problems with in the past. Dr Natasha Clinics staff will not supervise or be responsible for any babies or children at the clinic. We do not encourage bringing children along with you for your appointment. For insurance purposes, we cannot accept responsibility for any children at the clinic. Dr Natasha Clinics accepts no responsibility for any loss of personal belongings or valuables at any time on the clinic premises. Please use Gift Certificates (Vouchers) by their expiry date. Gift Certificates are NOT redeemable for cash. Please bring your Gift Certificate with you to redeem against your treatment. Gift vouchers are non-refundable and non-transferable. Please inform us, at the time of booking your appointment that you have a gift certificate. Dr Natasha Clinics has a duty of care for the health and safety of its staff and clients. The clinic also has a legal responsibility to provide a safe and secure working environment for staff. All clients are expected to behave in an acceptable manner, and any violent or abusive behavior towards staff and clients may result in the removal from our clinic. We expect all clients to be responsible and respectful when attending the clinic. The clinic will request the removal of any client from the clinic, who is aggressive or abusive towards a member of staff, or another client. All instances of actual physical abuse on any member of staff or client, by a client or their relatives will be reported to the police as an assault. All prices are for guidance, and your personalised consultation will give you a more accurate indication of your treatment cost. We cannot guarantee results for any of our treatments, as all treatments reflect your lifestyle, diet, and exercise regimes. It is possible several treatments are required to achieve the clients final desired results. There may be an uneven appearance of the face, with some areas more affected by the filler than others. In most cases, this uneven appearance can be corrected by more injections. In some cases, an uneven appearance may persist for several weeks after the initial treatment. Additional costs of medical treatment would be the patient’s responsibility should complications develop from any treatment carried out at our clinic. We do not offer full or partial refunds on any treatments. You must appreciate your personal ageing process, but we will do our best, and follow-up on all our treatments carried out. All procedures will only take place after a consultation (Consultation is free). Each treatment is different for each client, and results and longevity will vary from client to client. This is dependent on a number of factors such as age, medical history and lifestyle.